Water Workout Dumbbells are designed to strengthen and tone, or rehabilitate your upper body strength. 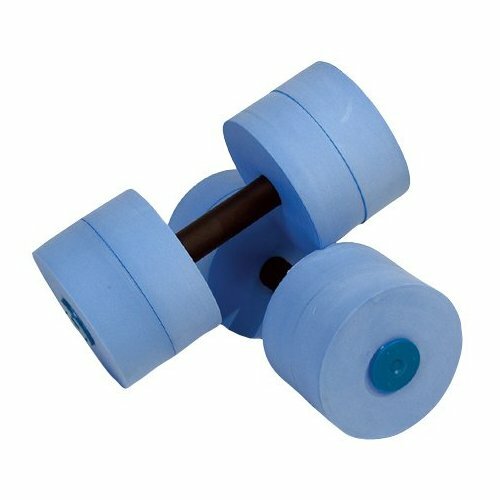 Water Workout Dumbbells have a larger diameter padded bar to reduce hand constriction and offer a more comforatble, slip-resistant grip. Medium Resistance : Designed for most women. Equals a weight of 5-10 pounds.